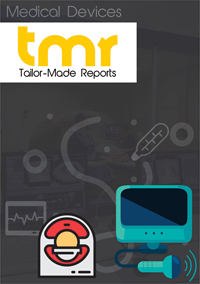 The global market for vascular stents has been growing at a robust rate on account of the rising incidence of cardiovascular diseases across the globe. The healthcare industry has been witnessing an overbearing amount of patients who have suffered heart strokes or cardiac arrests. This has paved way for increased demand within the global market for vascular stents. These stents can be useful during angioplasty and work on the coronary arteries. The blockages in the arteries can hamper the blood circulation in the body, and may even lead to sudden death. Due to this reason, it is important effectuate immediate treatment of patients suffering from any form of disorder related to the arteries or the heart. The changing lifestyles of the people and the growing inclination of the masses towards oily or junk food have given rise to several cardiovascular diseases. This has directly contributed to the growth of the global market for vascular stents and has generated growth spaces for market players. Furthermore, the willingness of the healthcare sector to adopt new kinds of stents including drug-eluting stents, bare-metal stents, and bio-absorbable stents has also created tremendous demand within the global market. The field of cardiology has been witnessing several advancements in recent times, thus, giving an impetus to the growth of the global market for vascular stents. The market for vascular stents has done extremely well across North America on account of the immaculate healthcare industry in the region. Besides this, the high population and unhealthy food habits in India has resulted in an increased incidence of cardiovascular diseases across Asia Pacific. The growing prevalence of peripheral vascular disease (PVD), which is alternatively known as peripheral artery disease (PAD), is one of the primary growth drivers of the global vascular stents market. According to the U.S. Centers for Disease Control and Prevention (CDC), nearly 8 million in the U.S. alone suffer from peripheral artery disease. Of these, 12 to 20% of the patients are above the age of 60, finds the study. Thus, it has been understood that the geriatric population is at a higher risk of suffering from peripheral artery disease. Since the aging population has been escalating at a rapid pace, the global vascular stent market will witness greater growth. On the downside, the exorbitant costs of these devices might hinder the growth of the global vascular stent market. However, as a number of market vendors have been developing highly efficient and accurate imaging techniques, the market for vascular stents is likely to receive a boost. A number of market players are concentrating on the introduction of innovative products, enhancing the ease of use for healthcare providers as well as patients. The researchers at the Technische Universiteit, Eindhoven (Eindhoven University of Technology) have acknowledged the special challenge presented by pediatric patients. The creation of customized stents is not a novel phenomenon. The researchers have produced a relatively better vascular stent, according to an announcement made in May 2017. The new stent can expand as the child grows, biodegrading with time, as against conventional stents that children outgrow. The traditionally used metal stents can also lead to complications including hyperplasia. In order to design this 3D printable, self-expanding stent, a computational model of a nickel titanium stent was built by the researchers. Several other products are receiving regulatory approvals. For instance, in the same month, Alucent Medical, Inc. announced that it received the approval of the U.S. Food and Drug Administration (FDA) to commence Phase I human clinical studies of its new drug/device combination therapy for treating peripheral vascular disease. The global vascular stent market can be segmented into Europe, Latin America, North America, the Middle East and Africa, and Asia Pacific. North America has currently been leading the global vascular stent market, with the U.S. as the chief contributor. The growing patient base and rising concentration of geriatric populace have been driving the growth of this region. Asia Pacific, driven by augmenting acceptance of cutting-edge technologies, is slated to display fastest rate of growth over the forthcoming period. The low costs of manufacturing, presence of a large number of market participants, and growing incidence of cardiovascular diseases have been assisting the growth of the global vascular stent market. MicroPort Scientific Corporation, Vascular Concepts, Medtronic, plc, B. Braun Melsungen AG, STENTYS SA, Lombard Medical Technologies, Abbott Laboratories, BIOTRONIK SE & Co. KG, Meril Life Sciences Pvt. Ltd., W. L. Gore and Associates, Boston Scientific Corporation, and Endologix, Inc. are some key vendors operating in the global vascular stent market.